“Perfect picture and sound” were the goals for this intimate 73 seat midtown viewing room. The existing space had 20’ high ceilings which allowed us to raise the Projection Room up a story and capture the space below for an arrival lounge and sitting area. From the entry, a visitor follows a broad ramp which serves both to get up to the sound and light lock, and as a gathering space before and after screenings. The high ceilings allowed the seats to be raked and staggered as needed to create the best, unobstructed sight lines. The existing space presented acoustical challenges – a subway below, high speed elevators directly adjacent, and the catering facility for the Hilton Hotel above. 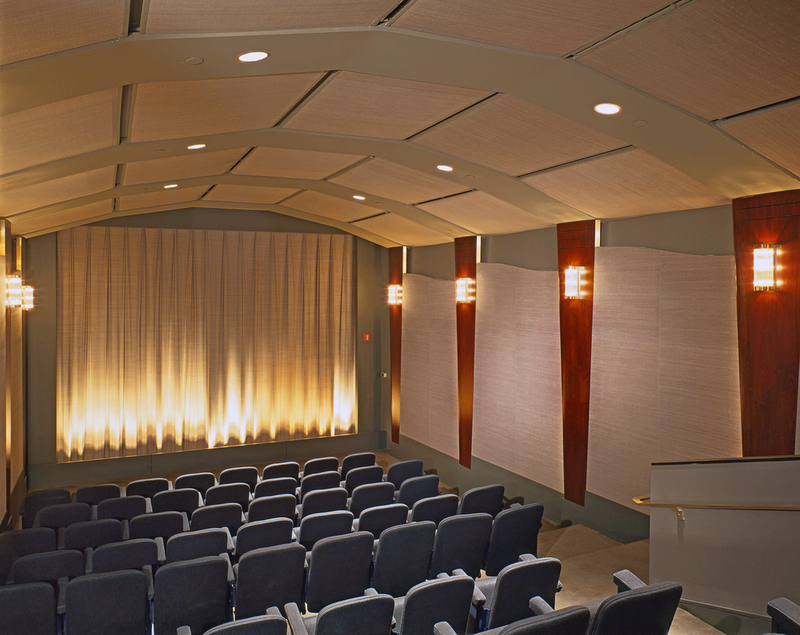 A complete room-within-a-room was built to achieve the high level of acoustic isolation need for the quietest passages in films. 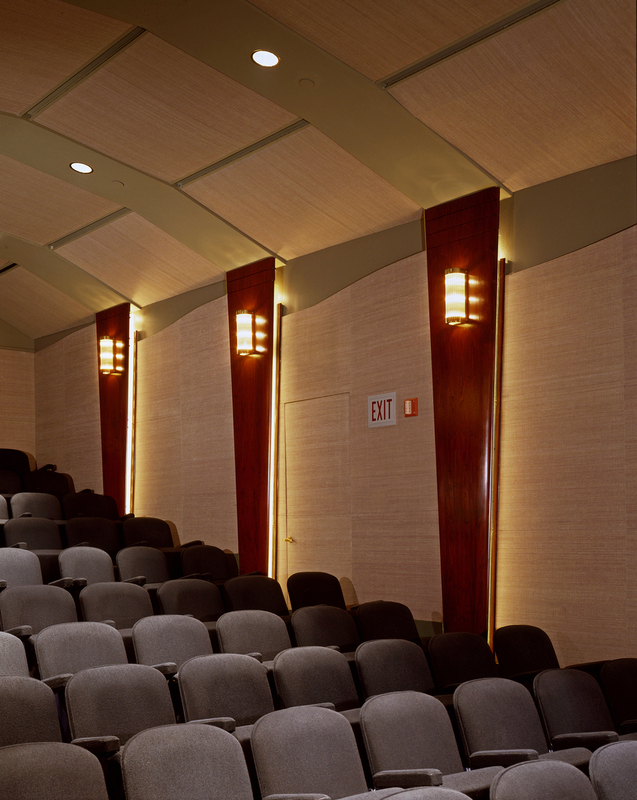 The walls and ceiling are a combination of absorptive and reflective materials to create the ideal listening environment.